Obesity is a multifactorial global epidemic with associated risk factors for an array of vascular, metabolic, psychological and economical consequences. Bariatric surgery has revealed a significant link between gastrointestinal metabolism and obesity that extends to resolution of many metabolic diseases including type 2 diabetes and cardiovascular disease risk. Bariatric surgery offers the most effective results and Roux-en Y gastric bypass (RYGB) is the most commonly performed bariatric surgery worldwide. The effective weight loss achieved by RYGB is thought to be caused by the re-arrangement of the gastrointestinal tract leading malabsorption and restriction of the ingested nutrients, and consequently resulting in alterations in the gut hormone levels. The first chapter of this book briefly summarises the current literature on the changes in the gastrointestinal hormones following RYGB. 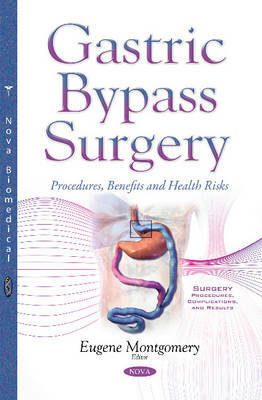 Chapter Two studies the role of bariatric surgery in the resolution of obesity and type 2 diabetes. Chapter Three discusses how to treat a type 2 diabetes patient post-bariatric surgery. The last chapter discusses the recent findings of the relationship between gastric bypass and four different skin disorders.